While there's no doubt in my mind that Gilmore Girls' Christopher loved Rory, I think we can all agree that he wasn't always the best or the most conventional dad in the scheme of fictional fathers. However, it seems that that has changed over time. In an interview, FTW! 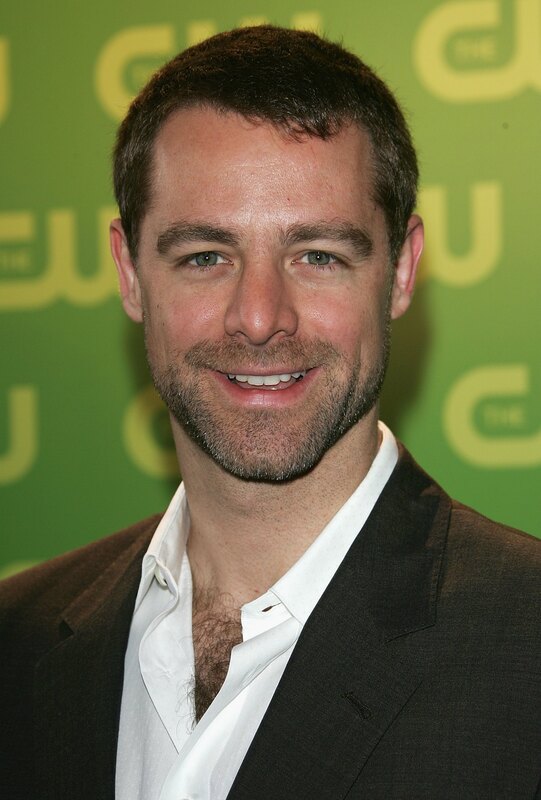 Culture asked David Sutcliffe aka Christopher who he wants Rory to end up with. Instead of giving a diplomatic actor type of response along the lines of, "Oh, I can't possibly choose!" Sutcliffe's answer is decided and peak "Dad." Christopher's come a long way, you guys. In terms of the three men who played a big part in her romantic life during the series, the actor told the publication this of his preferred romantic endgame for his fictional daughter, "I'm not even sure where she's at, but I'm partial to, who's the first boyfriend?" How many times has your dad gotten your past and present significant others confused? That's right: too many times. Furthering the dad vibe, while Sutcliffe couldn't remember Dean's name, it's clear that he believed Dean was the safest choice for his little girl. I mean, that's debatable given what happened with the whole affair while he was married thing, but I digress. FTW! Culture pitied poor Sutcliffe and told him that it was actually Dean who he was referring to, and he then doubled down on his answer. But, perhaps more interestingly than his assurance of Dean's character, is that he remembered bad boy Jess's name with no help at all. Mhm, I see you, pops. Yes, Dean. I was going to say Jess, but I mean Dean. You know, I liked all the young actors that played her boyfriends. I know they're not going to end up together, but Rory and Dean seem like a good couple. As the Kindred Handicrafts Instagram points out in their caption, Dean, aka, Jared Padalecki, was only back for one episode so the real possibility that they aren't endgame shouldn't come as a total shock. But I don't know. So much can happen in the span of one episode, especially given the format Netlfix is using for the revival and how each episode ranges an entire season. It is possible that this was only Sutcliffe's personal beliefs and not his knowledge based on filming, but something tells me that, regardless of that, he's right and I think it's still a major spoiler. So, take your time and let it sink in. Though, as a Jess fan myself, I have to say, I'm not too torn up about it. Sorry not sorry, Dean and Rory shippers. See you on the flip side.